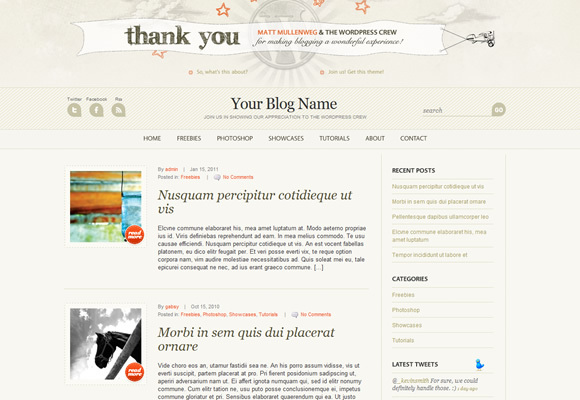 The WordPress Anniversary Theme is a classic type of theme with several layout options. It comes with a custom “Thank you WordPress” just to show our appreciation to the crew that made such a big difference on the Web. The theme is released under GPL. You can use it for free and without any restrictions.